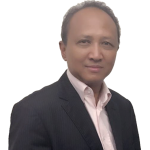 Hazree Mohd Turee’s 25 years of business experience have spanned across many sectors, including consulting, sales and marketing, and services. Hazree’s work with large multinationals and government link companies (GLCs) helped him built an extensive network, especially in the government. Hazree has been involved in business development projects in industries like oil and gas, banking, supply chain and e-government. He has turned around troubled and complex projects with challenging policy, financial and technical problems. He has set up a cloud computing business and was the architect of Commerce dot Com’s (CDC) Center of Excellence for Government Procurement. Hazree has vast experience in liaising with government ministries and agencies such as the Prime Minister’s Office, Ministry of Finance, Ministry of International Trade and Industry, Customs Department and the Multimedia Development Corporation. His interactions with various ministers and high-level government officials have made him an expert in various government processes. He has worked on regulatory issues and has lobbied the government on policy matters pertaining to the U.S.-Malaysia Free Trade Agreement. Hazree organized former Prime Minister Abdullah Badawi’s 2006 visit to the Dell headquarters. Hazree graduated from Western Michigan University with a Bachelor of Science and Master of Science in Statistics. He was ranked as one of the top statistics students in Michigan in 1986. Hazree is married and has five children.